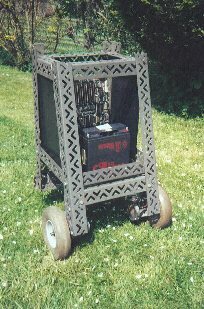 The Mark 3 ( tethered ) Mobile vintage June 2002, Powered from 12 Volts batteries. Controlled from a 286 motherboard ( custom Bios Chip ) which supports cheap ISA I/O cards. 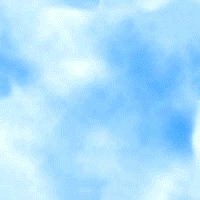 All software development is undertaken during the winter months on a standard P.C. All servo control is via the PIC powered serial controllers, see development page. This mobile is used for development of control software and a platform for mounting hardware for testing. 3 foot high, 18 inch track and about 20 kilo's weight, this is no lightweight Toy ! Overview of the proposed lo-res vision system.